An LED lamp is a light-emitting diode (LED) product which is assembled into a lamp (or light bulb) for use in lighting fixtures. 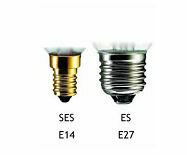 LED lamps have a lifespan and electrical efficiency which are several times longer than incandescent lamps, and significantly more efficient than most fluorescent lamps. Like incandescent lamps and unlike most fluorescent lamps (e.g. tubes and compact fluorescent lamps or CFLs), LEDs come to full brightness without need for a warm-up time; the life of fluorescent lighting is also reduced by frequent switching on and off. The initial cost of LED is higher but as market volume increases their price is coming down closer to the price of incadescent lamps.. LED is a relatively new technology that is quickly taking over from the older technologies as the volume in the market finally makes them a realistic option to their traditional contunterparts, incadescent, Compact fluorescent and fluorescent. 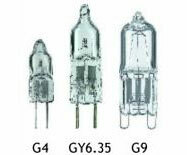 LED options are now manufactured in all the lamp shapes of the older technologies including GLS, GU10, tubular shapes - any LED that was previously too expensive is rapidly becoming affordable. These have been around for many years now and are better known as the long white tubes commonly seen on utility ceilings. Recent technology has reduced the size and improved the efficiency. Many different shapes and power options are available. 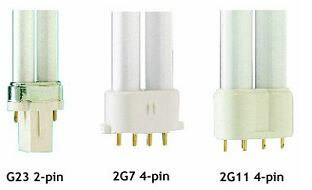 The benefits are low power consumption (around 20% of a normal light bulb) and long life (up to 8000 hours). 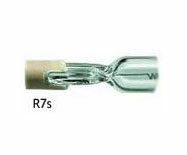 They are ideal for lights which need to be kept on for a long time. Many people assume that fluorescent light is 'cold' but 'warm white' lamps are available which improve the colour. These are the conventional bulbs which we all recognise and their advantage is the colour of light that they emit. 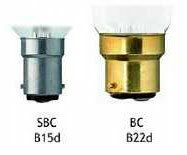 Colours of objects are generally more accurate with this type of light bulb and they impart a warm felling to a room. The disadvantage is that they are inneficient by modern standards and have a relatively short life (around 1000 hours). Used mainly in floodlights but also in uplighters. 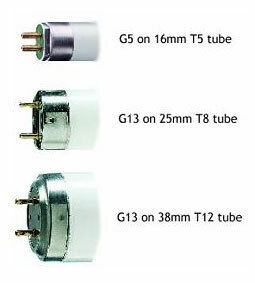 To be more precise tubular lamps that used to be fluourescent, now they can be found in LED as well. Many people spend a great deal of money decorating and furnishing their homes to create an atomosphere only to find that something is missing. Good lighting will compliment and complete the effect that you are looking for but remember that bright lighting is not always good lighting. A light source creates a pool of light but there is a second effect which cannot be reproduced in the shop where you buy your lights. Consider where you are to put the light and the surfaces under and around it. What effect will the reflected light have? Avoid hard contrasts which can be tiring to the eyes and where possible try to combine different types of lighting in the same room. Direct lighting for reading or working, pools of light to highlight features such as paintings or objects and washes of light on walls all help to add atmosphere to a room whilst remaining functional. If a room has to perform several different functions, consider installing a dimmer. This will allow a higher light level for working or reading and a lower light level for relaxation. This can prove useful too for older eyes which need more light. Colour is most important, incadescent bulbs help create a cosy atmosphere in living areas while fluorescent lamps give a cooler, more efficient light for utility rooms. A room painted in a dark colour will need more light as much of it will be absorbed, whilst lighter colours reflect light. You can add colour to a room by illuminating a coloured surface. Avoid glare by placing lights at a height which prevents the eye from seeing the bulb directly. 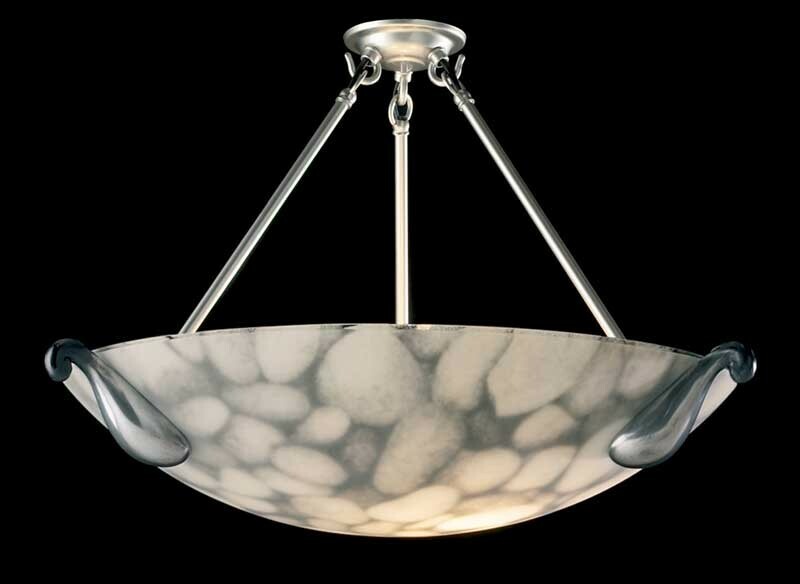 Pendants should not be hung so high that the bulb is clearly visible underneath. Take care that lights placed over reflective surfaces such as glass tables have a diffuser in them. Avoid using one central light which will create hard shadows and possibly glare. Instead aim to use plenty of different light sources to create pools light, this will give a more interesting effect. Lets start with where you sit. An adjustable reading light beside or behind your chair which can be switched whilst seated will prove invaluable. If it can be adjusted for height even better. Two or three table lamps placed around the perimeter on tables, shelves or furniture will give the room a more spacious feeling as the light radiates inwards. These small pools of light also create interest. 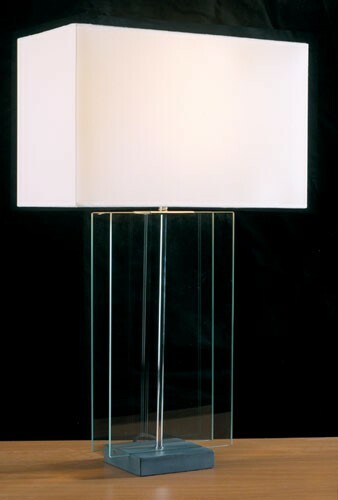 Illuminate bookcases, pictures or objects of interest with picture lights or halogen spot lights. This indirect lighting of a different colour will add contrast. Wall lights and pendants on a dimmer switch can raise the level of illumination in the room without needing to adjust any of the other light sources but beware of glare if they are mounted too high. Indirect light from wall washers (light fittings designed to light the wall and ceiling often made in ceramic or plaster) will create dramatic effects. 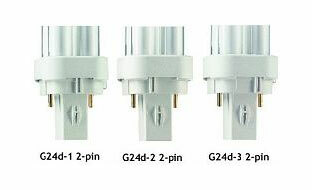 Remember that the light given rom wall washers will be coloured by the surfaces on which they are mounted. 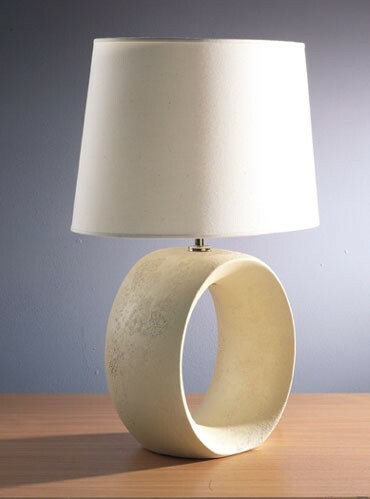 Floor lamps come in many guises and can be very effective at adding general illumination to a dark area where it is not easy to fit wall light, ceiling lights or table lamps. A floor uplighter gives a bright wash on the ceiling. Some are fitted with dimmers and others have a second flexible arm for reading. We spend alot of our time in the kitchen and it has multiple functions, many of which require care to avoid accidents. A higher level of illumination is required here. Fluorescent tubes under wall mounted units cast an efficient light over work surfaces and prevent shadows. They also ensure you are not blocking out the very light in which you need to work. A central light is also important in a kitchen to provide a general level of illumination and, if you have the space, the use of halogen spot lights mounted on the wall will help you add accent. If you have glass fronted display cabinets in your kitchen the use of small halogen lights specifically designed for the purpose will add interest. If your ceiling is low or you want to avoid a central light, consider the use of a number of downlights which create a glare free and pleasing effect whilst remaining functional. The main light source here will be over the dining table. The use of a dimmer will allow the table to be used for such jobs as sewing and yet give a low mood light for dining. Don't hang a pendant so low that your diners have to peer round it, about 60cm above the table is about right. Better still fit a rise and fall pendant. If you like to dine by candle light, make sure the heat and smoke are far enough away from the light fitting. If you have a glass dining table, make sure the light i fitted with a diffuser so that your diners are not looking at a reflection of the light bulb. Long tables can be very effectively lit with a longer light fitting suspended on two wires. Great care needs to be taken when choosing bathroom lighting as te regulations are strict concerning the type of light you can use. The bathroom mirror deserves some special attention and a diffused glass light either side will give a good general illumination where it is needed. 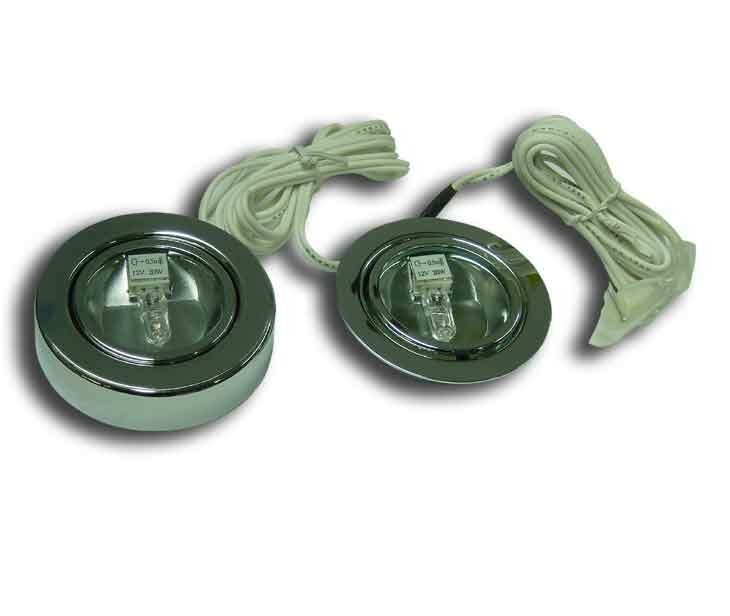 The alternative is a halogen downlight from the ceiling or fluorescent strip light over the mirror. 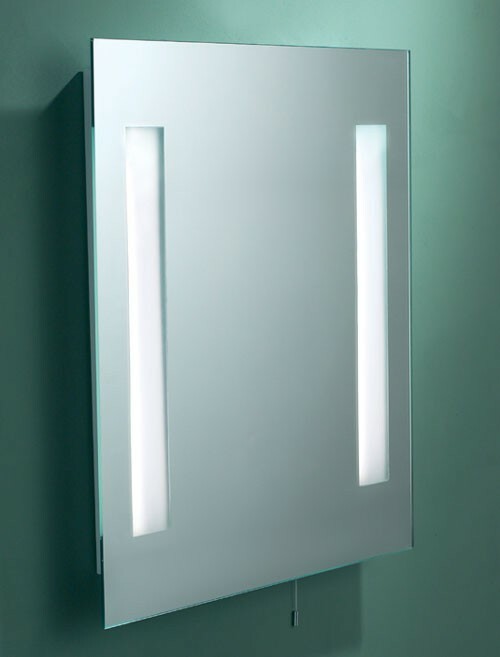 The latest generation of mirrors incorporate lights into the mirrors themselves with sections of the reflective surface removed and lights fitted behind them. This is a very effective way of generating an even light and improving safety. For general illumination in the rest of the bathroom either use downlights for their refreshing halogen colour or a high output flush ceiling fitting to suit the decor. Portable lights are not permitted in a bathroom so for mood lighting use ceiling mounted directional spotlights aimed away from the bath and at interesting features. Lights designed specifically for showers are available and must be carefully fitted according to instructions. This is an area so often neglected. Consider the number of functions required of a bedroom. For dressing you may need a general illumination or, if your partner has to rise at a different time, do you need a lower level of pool of light which won't disturb them? A well positioned downlighter will help here. Many people read in bed and with a double room, it is useful to have bedside lights which are individually switched. Adjustable reading lamps are ideal if you want to read while your partner sleeps. For convenience and safety you should aim to have all of the bedroom lights controlled from the bed. Dressing tables used for make-up will need more specific lighting and the use of two slender table lamps either side of a mirror gives a good working light without glare and will add to the cosy effect of the room. Try to create pools of light to reduce any hard contrasts. Adding a table lamp or illuminating pictures will be very effective. A general background illumination is important to avoid the hard contrast if only a desk lamp is used. Indirect wall washers or a floor lamp will do nicely. For the desk lamp look for one which is adjustable for height and will reach over the area where you are working. It is most important to avoid working in shadows. If you have a computer try and light the wall behind it to avoid tiring your eyes when looking at the screen. Make sure the lights in the room do not reflect off the screen into your eyes. A good central ceiling light is useful to provide a general illumination and a bedside or wall mounted reading lamp is recommended. Night lights for children's rooms give peace of mind and cost very little to run. Older children will want to have fun lighting and there are many effective novelty lights but always be safety conscious and choose lights which are suitable for the age of the child. What is bathroom zoning? 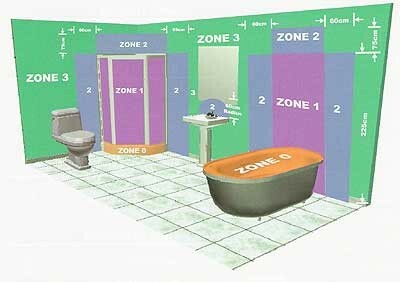 Put simply, the bathroom area has been divided up into 'zones' or areas which are classified using the numbers 0-3. Light fittings are then assigned an IP rating which indicates how much protection they provide against ingress of water and other particles. Each zone has a minimum IP requirement that must be met if a fitting is to be installed in this area. Above the bath or shower to a height of 2.25m. A minimum rating of IPX4 is required. If there is a likelyhood of water jets being used for cleaning the IPrating should be increased to IPX5. The area stretching to 0.6m outside the bath or shower and above the bath or shower if over 2.25m. An IP rating of at least IPX4 is required. If there is a likelyhood of water jets being used for cleaning the IPrating should be increased to IPX5. Anywhere outside zones 0,1 & 2. Where water jets are not used for cleaning purposes, the general rules of BS7671. If there is a likelyhood of water jets being used for cleaning the IPrating should be increased to IPX5. IP stands for 'Ingress Protection'. First Digit - Protection against ingress of foreign bodies e.g. tools, dust, fingers, etc. Second Digit - Protection against ingress of liquids. e.g. IP44 is protection against solid objects greater than 1mm IP4X and waters sprayed from all directions IPX4. 1 Protected against solid objects greater than 50mm e.g. Accidental touch by hands. 1 Protection against vertically falling drops of water e.g. condensation. 4 Protected against solid objects greater than 1mm e.g. Small Tools and wires 4 Protection against water sprayed from all directions - Limited ingress permitted. 5 Protected against dust, limited ingress e.g. no harmful deposit. 5 Protection against low pressure jets of water from all directions - Limited ingress permitted. 6 Totally protected against dust. 6 Protection against high pressure jets of water (Used on ship deck) - Limited ingress permitted.